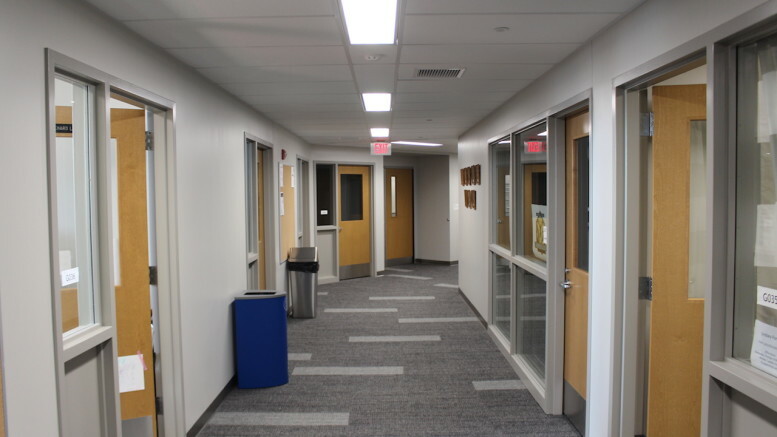 The newly renovated Gill Center, equipped with classrooms and labs for the kinesiology department, is the latest example of the College responding to an increased interest in a particular major. (Emma Carter / McDaniel Free Press). McDaniel College has begun a faculty-led review of departments and programs which is expected to reveal areas for cuts and new funding alike. The process started last May by a charge from the trustees at their final meeting of the academic year. It also ties into the strategic program that the College put in place in 2015. “This is really another piece of that,” said Martine Motard-Noar, professor of world languages, literatures, and cultures and co-chair of the STGPV, which is overseeing the review. The STGPV began its evaluation by collecting enrollment data for each of the College’s majors, minors, and independent programs. These data were forwarded to all faculty last week, and department chairs will have until November to review this information and send the STGPV individual analyses. “This is to look at all of the majors,” said McCole, referring to the review. The aim of the departmental analyses is to determine each department’s role at the College: they examine the current status of the departments – number of students, how well they meet their goals – and their success in meeting the needs of the campus and its students. With this information, Motard-Noar and McCole hope to get a better idea of why a number of accepted students do not ultimately enroll in the College, and of what programs would appeal to current high school students. The two are also looking at the post-college environment and how to update academic programs to better match the wants of employers. “[The STGPV is] trying to do a holistic approach,” said McCole. 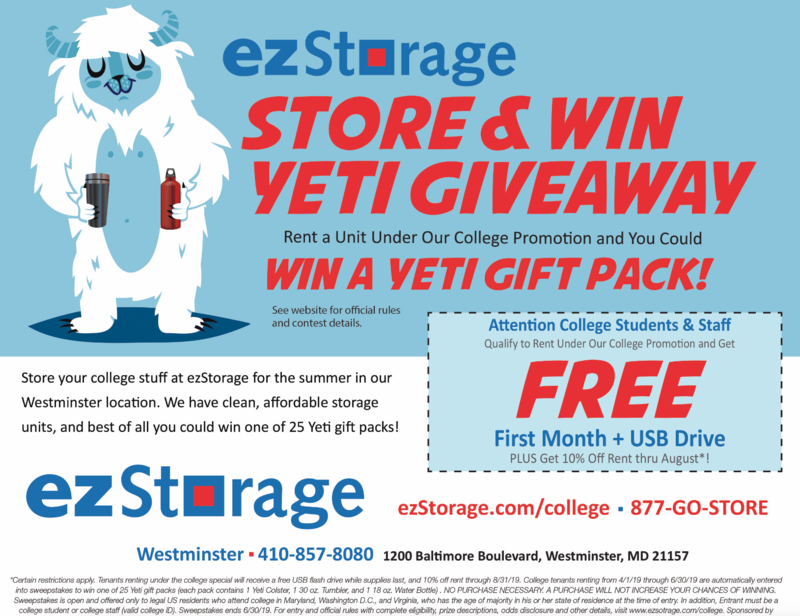 This approach includes current students at McDaniel as well. Stephanie Madsen, associate dean for sophomore students, who is involved in the process through her role in Academic Life, sent out a survey asking for feedback on existing majors and minors via email to the student body on Sept. 26. A follow-up email was sent to select student leaders asking for their participation in a focus group to further discuss what programs they value at McDaniel and what programs they would like to see. Focus groups were offered to available invited students through Oct. 5, and asked those present to provide thoughts on the College’s current programs that could be expanded, as well as new programs that could be added. The results of the College’s efforts will be a shift in the existing budget – funds from majors that are found to show little growth will likely be reinvested in majors with higher enrollment, for example. The school would then use the reinvested funds to expand or add majors where it deems appropriate. If the College does look to add new majors, the process of accreditation through the Maryland Higher Education Commission is long enough that current students are unlikely to see new offerings before graduation. “Even an awesome major that everyone wants is not gonna come on board in September,” said Motard-Noar. It is also possible that some majors could be combined, which would, according to the STGVP, create budget flexibility for the school. The potential for majors to be eliminated also exists. “There’s no doubt that we’re responding to [trends in] higher ed,” said Motard-Noar. Other regional colleges have recently seen significant changes in their departmental offerings as well: Goucher College eliminated several majors including math this year, and Lebanon Valley College is looking at retiring a handful of language and humanities majors. At the same time, the College’s graduate level is conducting their own process of review, said McCole. Despite the potential for removal of majors, McCole said students who are currently enrolled in a program that could be cut are guaranteed the ability to complete that program. “The College is absolutely committed to that,” said McCole. The Office of Admissions is also aware of this process, and may look into an extension of program protection to students being recruited on the merits of McDaniel’s current program offerings. “The hope is at the same time we’re attracting other students with other programs,” said McCole. The trustees will make the ultimate decision regarding the changes, which Motard-Noar and McCole expect to come in February.